This is the season of politicians making claims. Not many can be believed. Unless you have inside information, it is hard to tell who is truthful. I’ve often resorted to voting for a candidate based on the endorsement of another trusted supporter. At times though, even those endorsers offer the complete opposite from the truth. In years past I was able to complete my election ballots with voter guides distributed by uncorrupted private organizations. This year is different. I suspect many election endorsements are “different” this year. Gone are the good old days of a clear Republican vs. Democrat race. There is now a blurring of lines between liberal and conservative, which may tempt the average voter to run for cover. Liberals offend all of my sensibilities, thus I steer clear of all Democratic candidates. But these days the Republicans are also offering candidates to turn from. For the first time in my life I am hearing all manner of Republican sources touting an animosity towards Conservative candidates, such as those supported by the Tea Party. A relative, active many years in the local Party, recently expressed her contempt for these, suggesting that they should, “Get their own Party and leave the Republicans.” I pointed out that Tea Party Conservatives strongly support the official Republican Platform. Unchecked illegal immigration, abortion of all kinds, the national debt, punishingly high taxes, excessive regulation, and Common Core are not compatible with the Republican Platform. 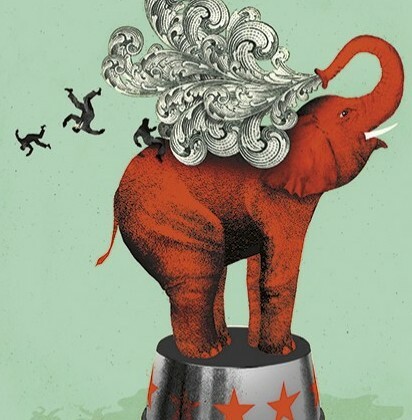 Moderate Republicans are losing their commitments to conservative governing. Conservatives are under attack, both from Liberals and Moderates in both Parties. True Conservatives should not “leave the Party,” instead we should stay the course, voting out those who have abandoned our Republican principles. This entry was posted in Uncategorized and tagged conservative, Democrta, elections, liberal, Moderates, Republican, Tea Party. Bookmark the permalink.